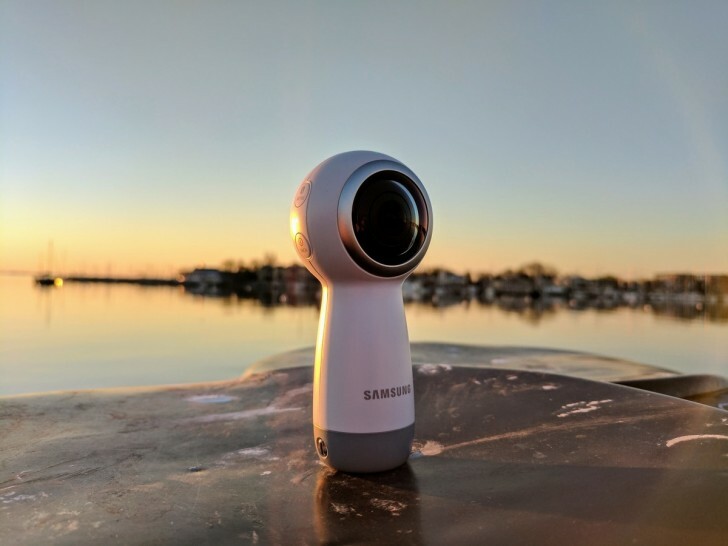 Samsung's latest Gear 360 camera launched in the UK already, and now it's finally on its way to the US. It will land across the pond sooner than you might expect, in fact. The Gear 360 (2017) that Samsung announced in March will be out in the US tomorrow. You'll be able to purchase one from Best Buy, Amazon, every one of the major carriers, as well as many other retailers. It will cost $229, which means it's going to be significantly cheaper than its predecessor from last year. It's also getting much better distribution, so clearly Samsung thinks more highly of this iteration than it ever did of the 2016 model. If you haven't yet bought a Galaxy S8 or S8+ and are also interested in the 360-degree camera, Samsung has a deal for you. Purchase one of the phones from tomorrow and up until June 19, and you'll get the Gear 360 for just $49.